The 2019 Jazz Dinner Dance is May 3. The Greenwood High School and Middle School Jazz Ensembles will be performing many styles of music from big band to contemporary for your dancing and listening enjoyment. Reservations are required. Click the button for complete information. 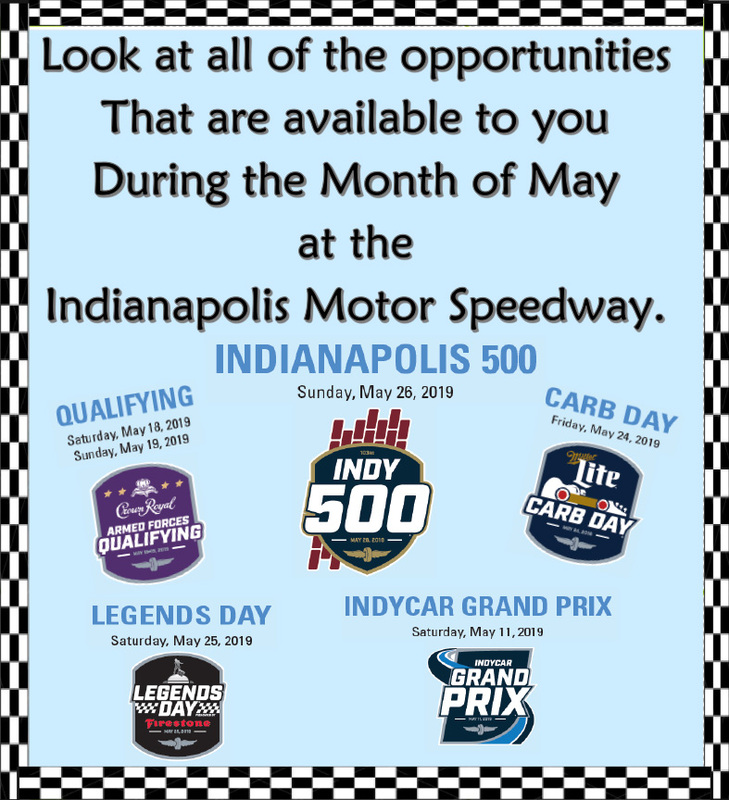 May is coming and in Indy, that means the Indianapolis Motor Speedway! As usual, there are plenty of band fundraising opportunities in May. Contact Pam Wishmeyer with any questions. And click the button below for more info. Please fill out and submit our New Member Form. Greenwood is blessed to have an administration, staff and parents that truly value a robust music program. It’s a proud tradition that has endured for generations. The Greenwood Band & Irish Guard represents all band and guard students who ultimately form the Greenwood Marching Woodmen. From late July through early November those students spend countless hours learning, drilling, cleaning and refining the year’s field marching program with the ultimate goal of an award-winning State Finals appearance. But, the work doesn’t end in November. Students will also hone their talents as members of Greenwood’s two concert bands; Symphonic Band and Wind Ensemble. In addition, students can elect to participate in many other facets of the band program. The Greenwood Jazz Ensemble enriches the community with numerous performances at public events, jazz festivals and ISSMA competitions. Greenwood Winter Guard competes on the IHSCGA circuit – an association co-founded by former Greenwood Guard Director Pam Wishmeyer. They also compete in WGI events. Greenwood Indoor Percussion competes on the IPA circuit as well as a WGI competition. Students have numerous opportunities in Solo and Ensemble and provide accompaniment for the school musical. Finally, the Greenwood Pep Band rallies the crowds during the high school basketball season. The thrill of competition and winning can be powerful. But the most rewarding aspects of the Greenwood music program outshine those individual competitions. The discipline of hard work, the camaraderie of the team and the love of music will remain with our students for a lifetime. Awesome job in rehearsal tonight Wind Ensemble! A huge thanks to DK and Mr. Fletcher for your help! This Friday is the last day to purchase tickets for the Jazz Dinner and Dance. Get your tickets today!